I have taken part in the search for many lost dogs over the years, many of whom were newly adopted. 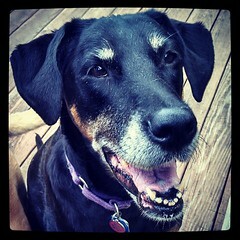 And, our house seems to be a magnet for lost and wandering dogs (some say they know where to go when looking for help). I can't count how many times I've looked out the window to see a dog in our yard or walking down the street. Each time I grab a leash and go dashing out the dog. I've had great success in getting many wandering dogs leashed, but I have been thoroughly surprised at just how many of them did not have an identification tag on their collar. For those who do, it takes just minutes to locate their owner. For those who don't, I've spent hours trying to track down owners and on one occasion, I had to call animal control to come and get the dog. Disclosure: Lapdog Creations teamed up with PetHub to help spread awareness about Lost Pet Prevention Month. We received a thank you gift from for participating, however we only share information that we feel is relevant to our readers. All opinions expressed are our own. This post may contain affiliate links. 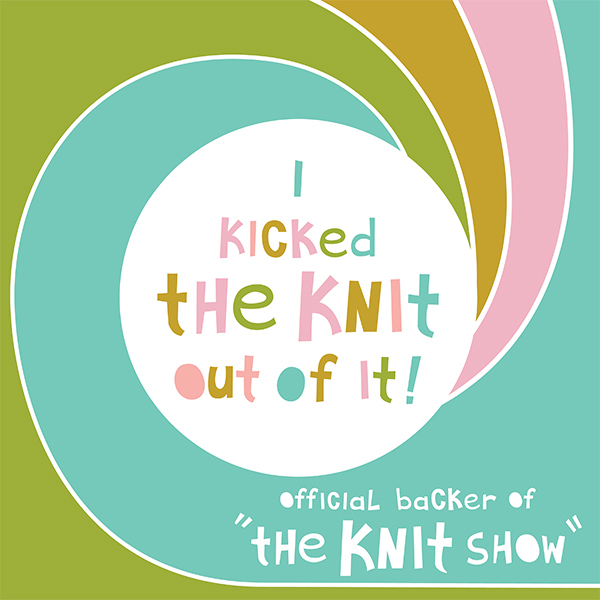 If you click and make a purchase, I may receive a few pennies which help keep this blog running. Vimtag is responsible for the giveaway prize. So, when PetHub asked if we wanted to participate in their Lost Pet Prevention Month, I immediately said yes. I had recently posted about ID Your Pet Day and thought it was a great opportunity to expand on a topic near and dear to my heart. Did you know July 5th is one of the busiest days in shelters across the US due to pets who fled from fear of fireworks or large celebrations? In response to this statistic, PetHub created Lost Pet Prevention Month in July 2014. The awareness campaign was designed to help pet parents get the information, resources, and tools needed to prevent a lost pet, as well as advice and strategies to get them home as quickly as possible if lost. 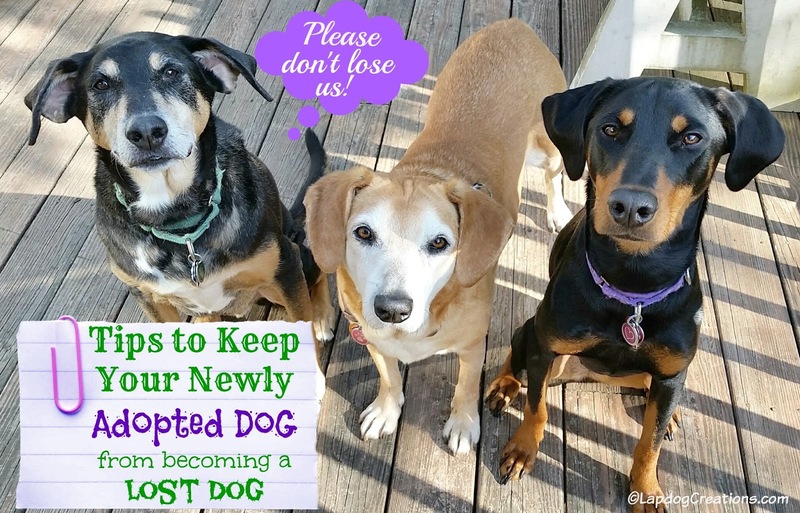 When I was asked to help spread the word about Lost Pet Prevention Month, I immediately thought about all the newly adopted dogs that have gone missing in our area and knew what I wanted to focus on. 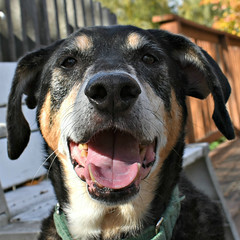 New England has become a great place for Southern rescue dogs to find their forever homes. I have fostered many, and have adopted three. In all the excitement of adopting a dog, many people can forget some important - but very easy - steps to take to ensure the safety of your new family member. It may take some time for your new furbaby to adapt to their new family and surroundings, and you should be extra cautious during this time. This is true for all new adoptions, but even more so when you have a dog who just spent hours traveling to their new home and knows absolutely nothing about the new area they now call home. I've seen many new owners pick up dogs, especially puppies, with no collar or leash and am always appalled. 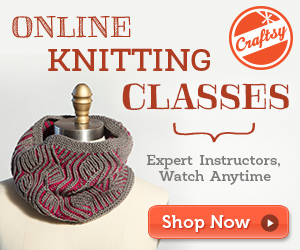 Sure, they may be small and may outgrow a collar in a few weeks, but make the investment. Your new furbaby is worth it. Make sure you have a collar that fits (again, if you're adopting a puppy this may mean that you'll go through a couple of sizes quickly). I personally prefer, and all of my dogs wear, martingale collars. When used properly they prevent slipping, and they are what many trainers recommend as well. However, martingales are not the best option for all breeds, so do some research and get the style that works best for your dog. Just don't skimp on quality. In addition to a good fitting collar, I also recommend a harness. 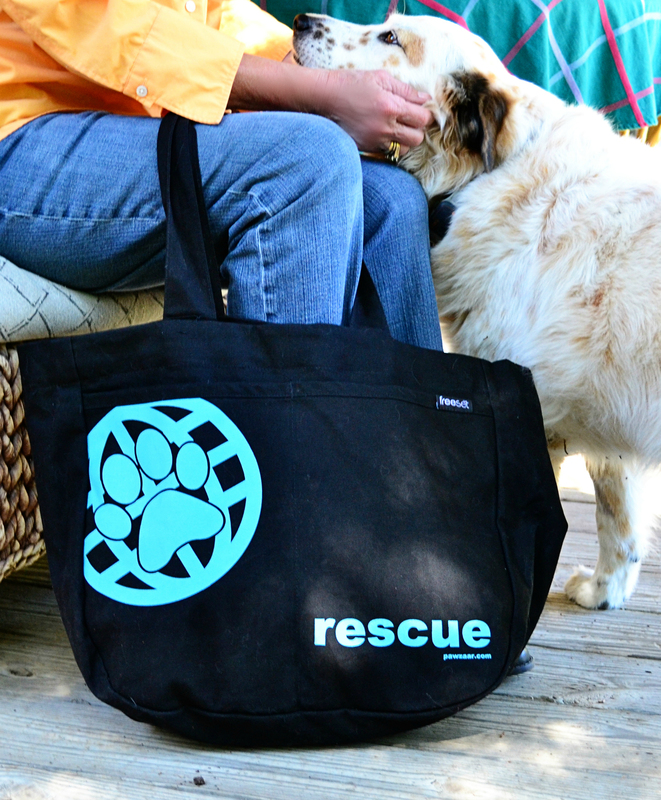 I have a variety of sizes on hand, and always use one for my foster dogs. 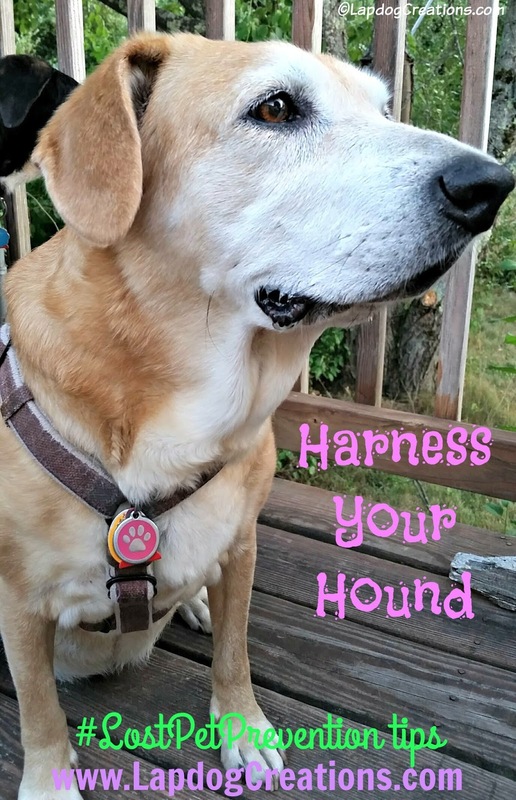 A harness just gives that little extra bit of security and I worry less about them possibly slipping out of a collar if spooked or while playing. I can't stress this one enough - do not let your newly adopted dog run free in a non-fenced in area! While this seems like a no-brainer, I can't even begin to count how many newly adopted puppies and dogs have been lost within the first 24 hours due to human negligence. No matter how young or old, sweet or docile a dog may be, think about what they went through to get to you. They were probably in a foster home with familiar faces, and may have traveled many hours to an unfamiliar area and new family. Some dogs instinctively try to find their way "home" (back to where they came from), while others may be easily spooked until they settle in. Do not expect them to just stay by your side. They need time to adjust and you need to be diligent during that time. This includes being cautious around any open doors, including the car and home. I can tell you a tragic story of a 10 month old pup who just adopted to his perfect forever home, only to bolt out of the car as soon as he arrived at his new address. They had him for less than an hour when this happened, and sadly he was hit by a car and passed away before they found him. That pup isn't the only one who traveled a great distance to his or her forever home, only to get loose and perish before ever realizing the wonderful thing that has just happened. This is the biggest reason I wanted to participate in this campaign. If I can help to educate even just one new adopter, my time has been well spent. Back to leashes... invest in a few good quality ones. You will want different styles and lengths based on what activities you'll be doing with you dog - daily walking, hiking, out in large crowds, leash training in the home around open doors, obedience training, etc.). This is another one that should be a no-brainer, but as I mentioned above, I've encountered many dogs without ID. The easiest and most conventional way is with a simple ID tag that includes your phone number and dog's name. I like to include a second number, city and state as well. Inspect tags regularly to ensure the information is legible. I prefer stainless steel tags, which don't rust and seem to last forever. 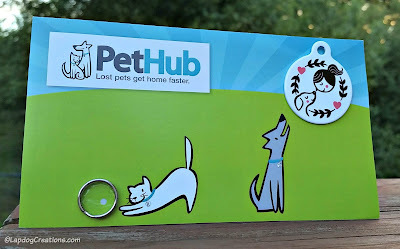 Going one step further, you can add a QR code tag or collar like the ones PetHub offers . If you dog gets lost, that QR code can be the key to unlocking vital information - especially when the finder may not be able to reach you immediately. 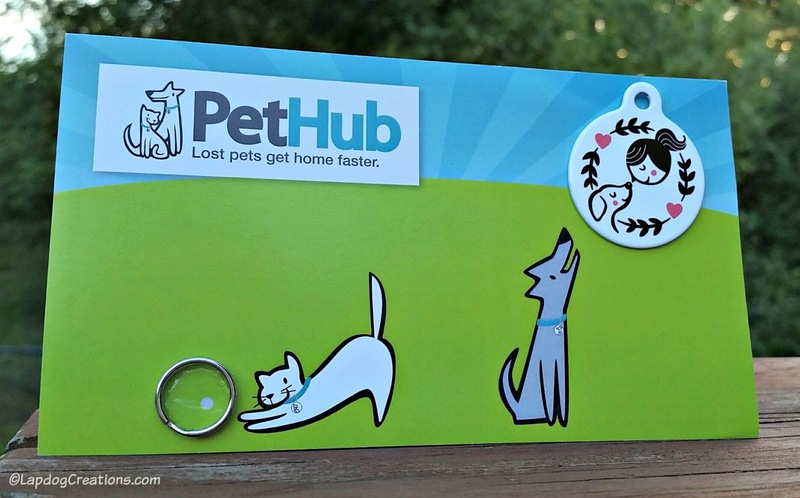 Once you purchase the tag or collar from PetHub, you can set up a free online profile. The profile not only includes your pet's name and your contact information (including multiple phone numbers and email addresses), but you can also upload a photo and include information such as your pet's age, weight, physical description, and medical issues, as well as your veterinarian's contact information. When someone scans your dog's QR code with their smartphone, they will have access to all of the information you have made public on your dog's profile. If they don't have a smartphone, they can call PetHub via the call center number on the tag and connect with you that way. If your dog is injured while lost, this information could be vital. Penny just got her QR tag - isn't it adorable? Setting up her profile was easy, and I now have another "just in case" safety measure in place for my traveling girl. Many rescue dogs are microchipped before being adopted out. If this is the case when you adopt, be sure to call the microchip company and update your dog's profile with your contact information. If your pet does not already have a microchip, get one! You can have it done at your vet's office or any place that offers the service (including those two famous pet supply retailers). 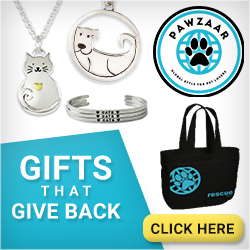 Many rescues and towns even have fundraising events that include low-cost microchipping, so ask around. If you include the microchip tag on your dog's collar, please still include an ID tag. In this post, I talked about finding a very wet hound dog late one night in our yard who had to crash with us all night because he didn't have an ID tag, only his microchip tag. Take all the steps you can - and don't be afraid or ashamed. Sure, I have been called a crazy, over-protective dog parent more than once, and I'm okay with that. After all, it means my dogs are safe and happy. And that makes for a happy dog Mom. It is so important to keep your eye on a new dog or your dog in the event that you relocate. It is so scary for them. These are all wonderful tips. Sebastian arrived here on July 4th, possibly trying to escape firework sounds. Everyone here is chipped and tagged and we've put gates on the deck so if they squeeze out the open door,they can't get off the deck. We see a ton of dogs without tags wandering. So important to keep your dog's tag and chip up to date! My last dog loved to run away, so I am always extra careful with Henry. Great tips! Our mom's biggest fear is that one of us may get lost. Even though we're inside cats, she keeps an eye on us...'specially Wally who likes to sneak out the door sometimes. All my babies are microchipped! But they don't always wear their collar since I'm scared they might hang themselves or get stuck somewhere! Losing a pet is scary! I lost a cat once and it took 3 months before we were reunited after she was caught and taken to a shelter. This was in the days before microchips were compulsory but I'd been calling them weekly 'just in case' and they had her photo and description. Having already lost one cat previously (we were reunited eventually), I'm super cautious with my current indoor kitties and anyone visiting about closing doors. Kilo has bolted out the front door once or twice and escaped his harness and taken off once - very scary- but he ran back pretty fast. He is microchipped and I need to update his tag now I realise. Well said! When we adopted Sheba she was skiddish and would try to run out the front door. Such a good idea to properly id all your pets but also newly rescued pups. I'm shocked and saddened by the only 1 in 10 lost pets is ever found. That's so terrible! I'm super paranoid about losing my pets. 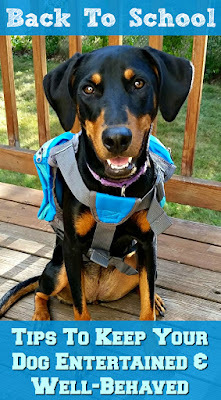 Ruby wears a harness and is never off leash when we are outside. People can be unbelievably naive abut their pets. Cats get let out after two days, dogs jump over fences. Some are stolen, some get run over but so much could be prevented. We love PetHub and are long time advocates and users of the line. Keeping the info updated is so crucial. I am glad you wrote this post. Great informational post. I've added PetHub to my list for Lost & Found Siberian Huskies & Pets on my FiveSibes Facebook page. I think you need to be extra cautious with a newly adopted pet. These are great tips and to be honest, I hadn't really thought about the fact that a newly adopted pet would have an even tougher time finding his way back home. PetHub has a lot of cute tags and a great service! Great information. My mom's dog wears both a color and a harness all the time. Losing a pet would be so scary! I practically have a heart attack if I see one of my cats dart out the door when I open it. These PetHub tags are super cute! It is really important to have a tag on your pet anytime you bring them outside. Overprotective is not a bad thing. We just rescued Jack and even knowing he is a flight risk, and taking the best care to keep him secure, he bolted and escaped my husband's control. A chase, involving two cyclists ensued. My husband circled around them all in the truck and between the three of them, they were able to corral him back to safety. I thought I was going to have a heart-attack. 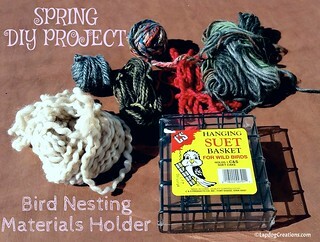 These darling tags provide a much needed safety measure! 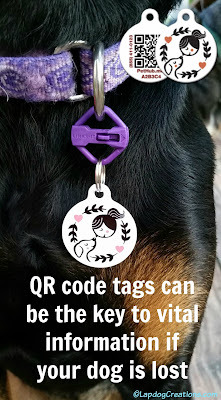 I thought I knew of all the ways to tag my dog, but the QR tag was new to me! Love it! I don't think it's bad to do ALL of those things, because all you need is ONE of them to get your pooch back to you....and who knows which ONE it will be? I evaluate dogs weekly, and always ask if the dog knows their name and will consistently come to their name. People with new puppies need to understand that at some point, that sweet little furball who never wants to leave their side will turn into a teenager and look at them with a look that says, "You're not the boss of me!" Losing a dog is everyone's worst fear!! Those are some scary stats! I'm amazed at how many people don't have good, updated tags or a microchip on their beloved pets. I love my digs' Pethub tags, they have a great selection! Losing one of my pets is my biggest fear with them also. Proper identification is so important. 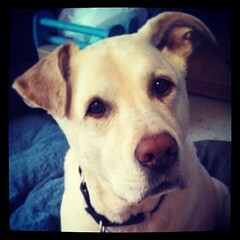 I'm scared to death of losing one of my dogs. It's one of my biggest fears. Thanks for sharing this info. I will certainly look into it! That is really sad! Now I'm even more freaked out about losing Dexter. I have nightmares all the time about it.